His appearance with actor Johnny Depp at the latest Origins Project Dialogues at Arizona State University on Saturday night brought his Erdos-Bacon-Sabbath number down to a seven — the lowest ever, as confirmed by the project’s curators. 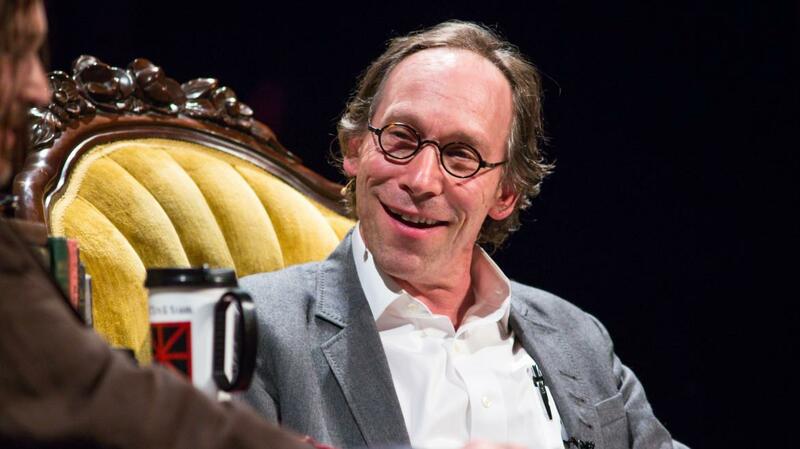 Krauss, a theoretical physicist and cosmologist, Foundation Professor of the School of Earth and Space Exploration at ASU, director of its Origins Project and the only physicist to have received awards from all three major American physics societies, now has a seven following his appearance with Depp. The Origins Project Dialogues are a series of intimate, thoughtful and entertaining conversations with scholars, public intellectuals and interesting personalities. The School of Earth and Space Exploration is an academic unit of the College of Liberal Arts and Sciences.